The City of Spartanburg is located at the foothills of the Blue Ridge Mountains, at the crossroads of I-85 and I-26. Spartanburg was established during the Revolutionary War as regiments rose up in this area. Currently, Spartanburg is home to approximately 37,500 people. Spartanburg is an industrial hub for both local and international businesses. There, you will find the headquarters of Milliken & Co., Denny's, Advance America and QS1/Data Systems. But business is not the only thing that helps Spartanburg to grow. Spartanburg is rich with cultural organizations, so there’s a little something for everyone: art, theater, music, writing, science, history, and so much more. There are community events every week for every age and interest, including crafts, exercise, and sports. Work, school, and play are combined in Sparkle City to provide tons of opportunities to thousands of people. 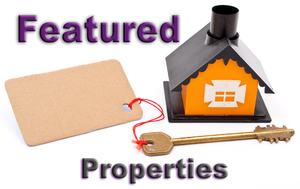 Choosing one of the homes for sale in the city can help you take advantage of everything Spartanburg has to offer as well. Spartanburg is in Spartanburg county school district 7 which is ranked number one in college readiness of districts in South Carolina, districts with best teachers, districts with best administration and is ranked nothing less than the top 15 for other rankings. There are numerous nationally recognized and accredited colleges and universities within a 25-mile radius of Spartanburg, including Converse College, Wofford, and USC Upstate. With hundreds of things to do in and around the city, and with thousands of people to get to know, Spartanburg is easily one of the biggest cities in South Carolina, and it continues to grow. It has opportunities in everything for everyone. 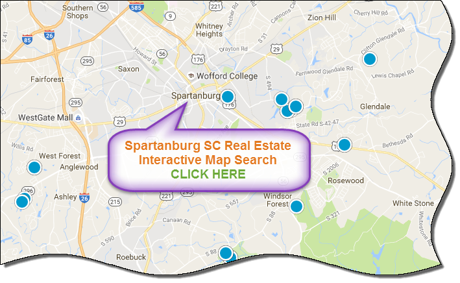 Moving to Spartanburg is a no-brainer with all it has to offer, and with tons of homes for sale under every price tag for every family size and style preference, moving can happen in a cinch. If you're looking to buy or sell a home in the Spartanburg area, contact the PRODUCER Realty expert real estate team at 864-438-5050.